Thank you Robert and the "Birding is Fun!" audience for bringing me on board and allowing me to share in the wonderful birding experiences that you bring together from all over North America. I'm based in Phoenix right now, and am trying to make the most of the incredible birding opportunities that the Grand Canyon state provides. A lot of my focus is on urban birding. I love to get out of the city and into wilderness, but I also love to find the little birding gems that are hidden around the city for those of us who can't always escape on the weekends. 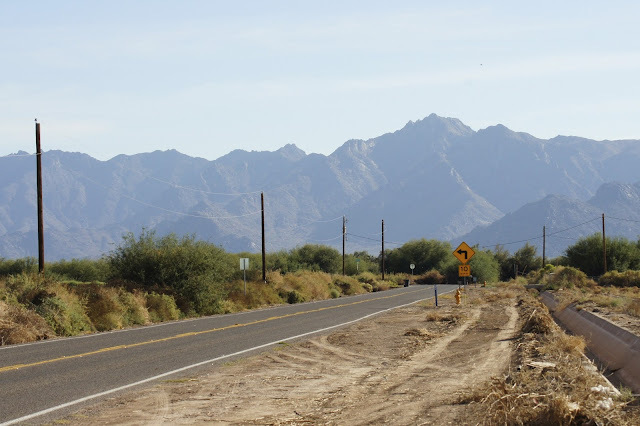 This week, I checked out the Tres Rios preserve on the west side of town, and the Papago parks in the southeast. As one may expect, there were not a lot of exotic birds on display, but there was still plenty to see with a nice mix of year-round residents and winter visitors. 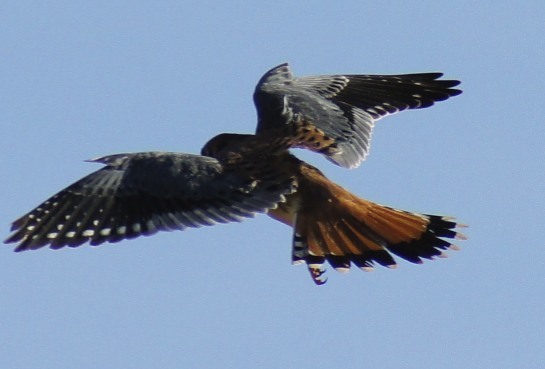 The trip confirmed two more locations to my Phoenix birding map. 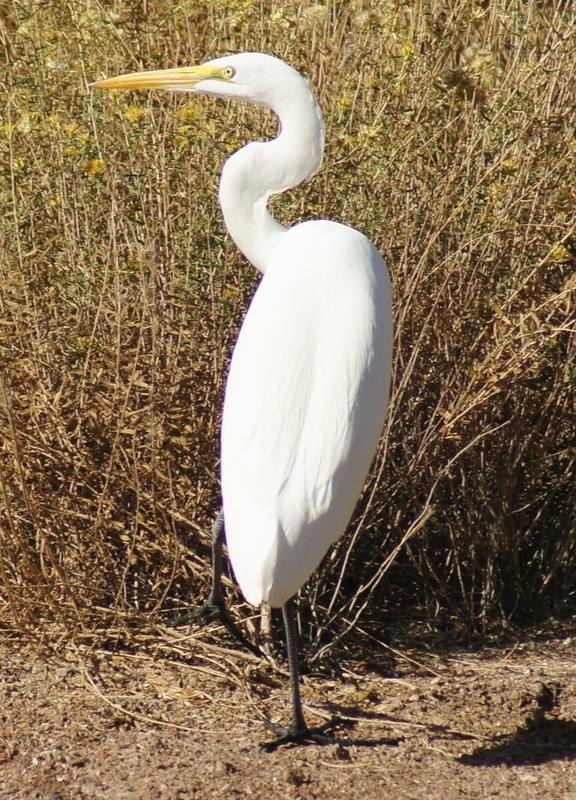 Along with the Desert Botanical Gardens, McCormick Ponds, Encanto Park, and Gilbert Water Ranch, I now have a half-dozen solid birding spots 30 minutes away in any direction. This adventure started in rush hour traffic with the drive out to Tres Rios. As a birder, one must sometimes seek out Beauty in unscrupulous settings, and sometimes we must really hold our noses. Such was the case when I had to infiltrate past a sewage treatment facility to access the riparian areas beyond. Despite the smell, the South Mountain Range made for a nice background. This was out in the wild west. You park where you want, and you spit where you please. It was actually after missing a turn that the sightings began. It's not often that I get to use my car when birding, but it's always a treat when it works out. Birds seem less threatened by a car than an approaching person (what's up with that? ), and with the sun roof open, I can stick my head out and pretend I'm on safari. What better way to start a birding day than with ambiguous sparrows on a telephone wire!? That first sighting is always the watershed, and soon after things started popping up all over. The Ravens (thanks Jeremy) and Sparrows were abundant as I entered into this rural area, as were the kestrels that ascended to the telephone wires to regain their vantage points before diving to the ground once more. 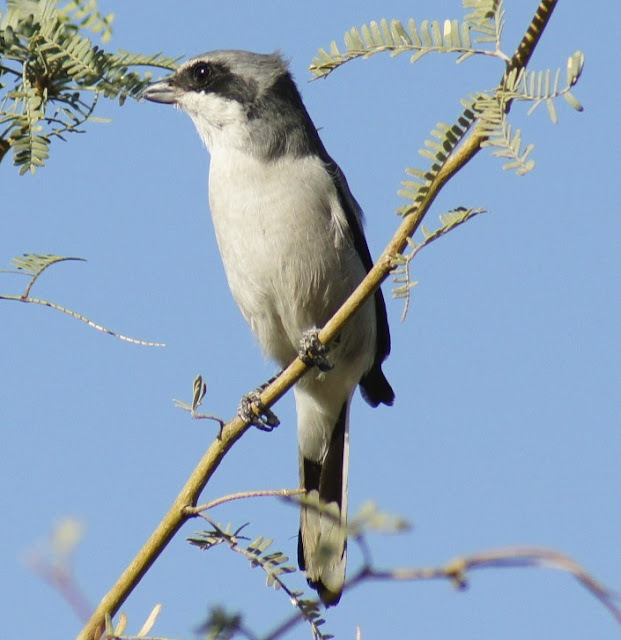 I hadn't even reached Tres Rios yet but I was already having a blast, especially when a Loggerhead Shrike flew in and made himself comfortable in a mesquite tree. When I was is high school, I always thought a really cool gang name would be "The Shrike." Alas, that lifestyle was not for me. I have always wanted to see a Shrike in action, and this was the closest I've ever been. 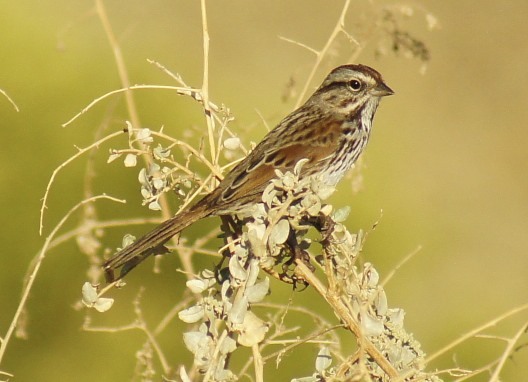 Here I had the most infamous and feared songbird in North America preying on...mesquite leaves. There was no impaling or carnivorous behavior to be seen today. 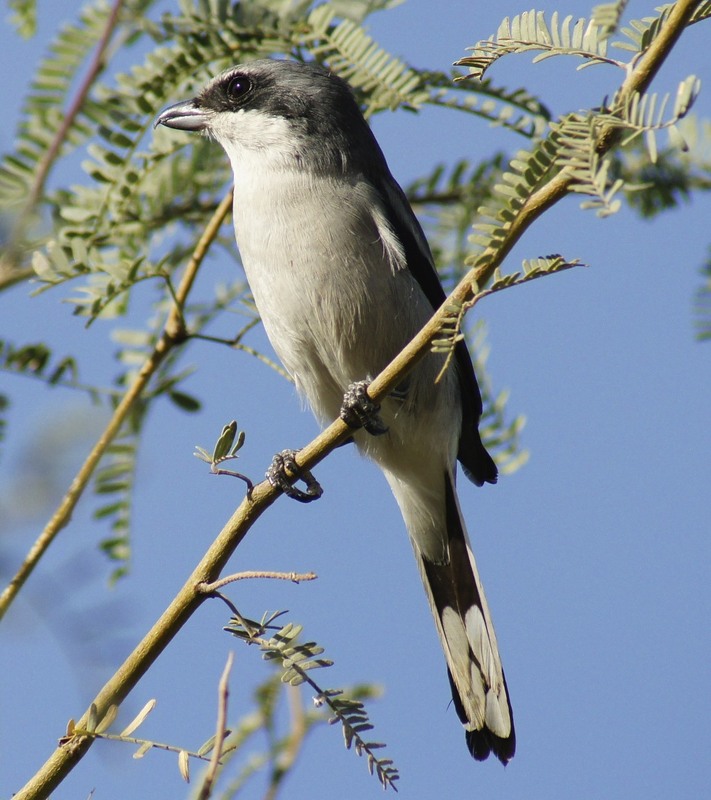 Shrikes probably balance their diet with some greenery, either to aid digestion or when game is scarce. It is also possible that this Shrike was just making a statement against convention and going vegetarian ("I am a nice Shrike, not a mindless eating machine"). You can see the leaves sticking out if you click to enlarge the image. Birding is fun because you never know what you'll find while you're out and about. Here is one of the odder sightings of the day, found in the irrigation ditch running along the road. 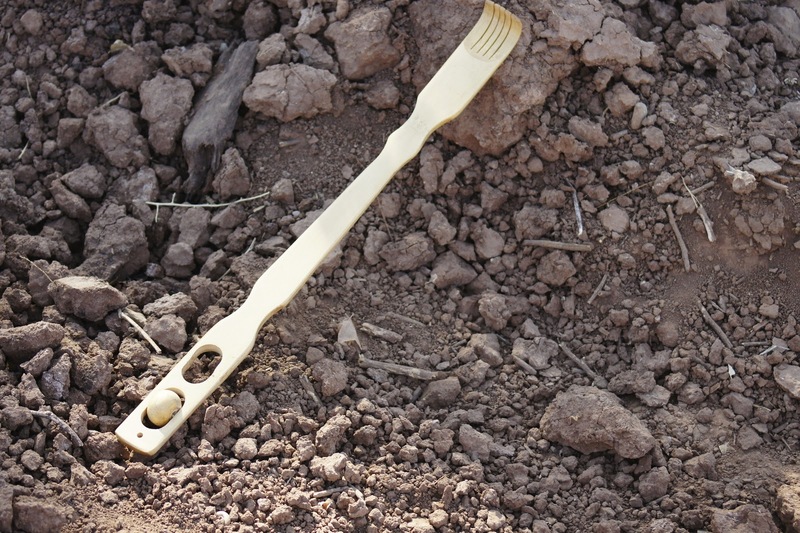 If this back-scratcher could talk, I bet it would have one heck of a story to share. The Birds became more and more audible as I neared the marshy preserve. The actual entrance was a bit tricky to find, but the interior area was surprisingly plush. 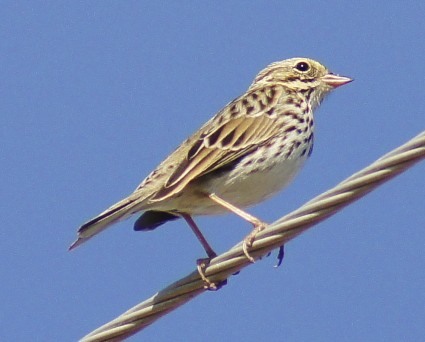 Green Herons, Marsh Wrens, and Song Sparrows littered the cattails, while Dark Eyed Juncos, Yellow-Rumped Warblers, and Ladder-Backed Woodpeckers abounded in the cottonwood trees. I counted probably two dozen Cormorants flying overhead, along with a couple Red-Tailed Hawks (not in the same group of course). A few Black Phoebes stopped by and argued with the resident Red-Winged Blackbirds, but I again failed to see the Yellow-Headed Blackbird. "Locally Common" my foot...(that's a story for another time). So far, it had been a brief, busy, and fun birding trip, but despite my satisfaction I had not been able to add anything to my Life List. As the sun started to set, the swamp birds became more active, and before I turned back towards the car, I caught a fleeting glimpse of the Common Moorhen going out on patrol--a new bird for me! I love the red bands at the top of the leg. 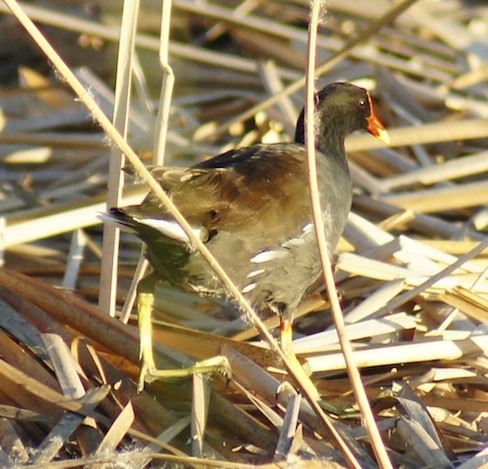 The Moorhen has the most stylish garters of the birding world. It was a pleasant Friday evening at Tres Rios but it was only an appetizer. The Weekend feast was now in earnest. Saturday's excursion took me to the east side of Phoenix, with a quick look in at the Desert Botanical Gardens and then the Papago Parks. 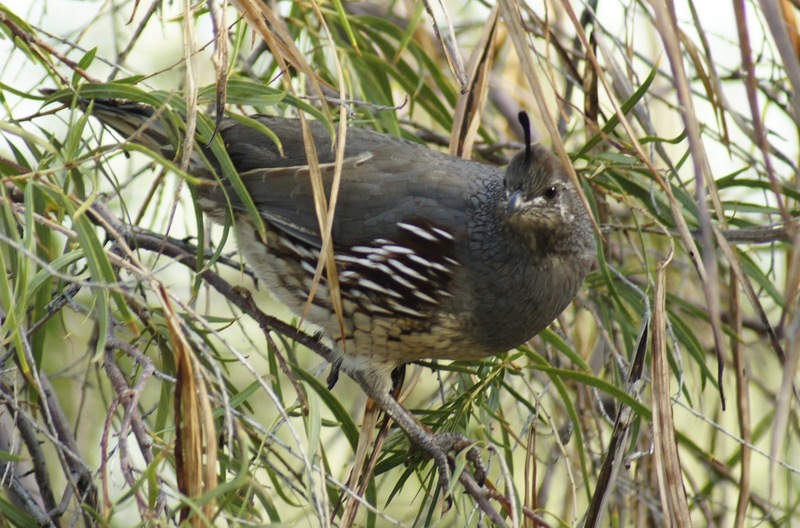 The first bird of the morning was, unsurprisingly, a Gambel's Quail. It was found, a little bit more surprisingly, up in a tree. She seemed grumpy, as if I wasn't supposed to see her like this. It's rare that I see a new or different bird at the DBG now, but spending just an hour in the wildflower gardens is never time poorly spent. 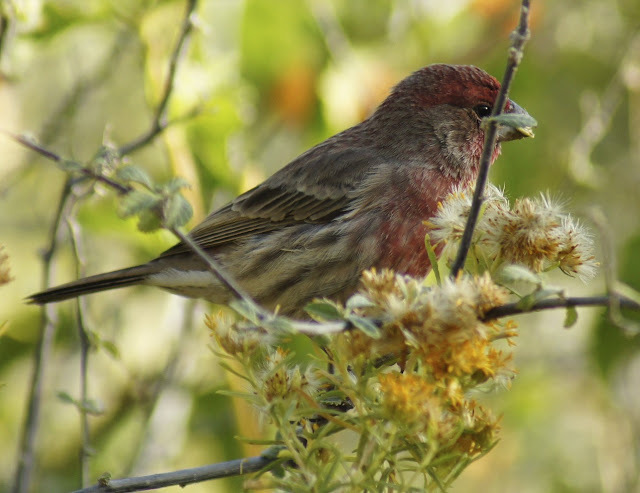 The House Finches at the DBG seem to have a more natural, deeper hue in their red feathers than the finches that frequent feeders. Oftentimes the commonness of the House Finch offsets their beauty for me, but every once in a while I'm reminded of their appeal when they're in the right setting. There were a couple feeding in the early morning light. The Papago Parks are just down the street from the DBG, and while there is little curb appeal to them, the parks did provide my first good photo-op with America's most superlative falcon (smallest, most colorful, most vivacious, most Napoleonic, etc.). Naturally, he chose to perch on a nice, large, crusty lamppost, which concealed his bottom half. 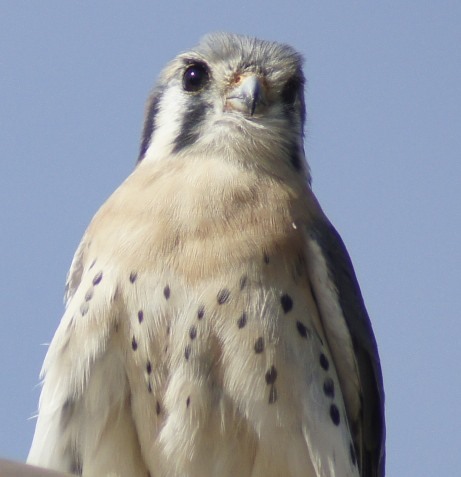 As any small animal can tell you though, it's the top end of the Kestrel you want to watch out for. 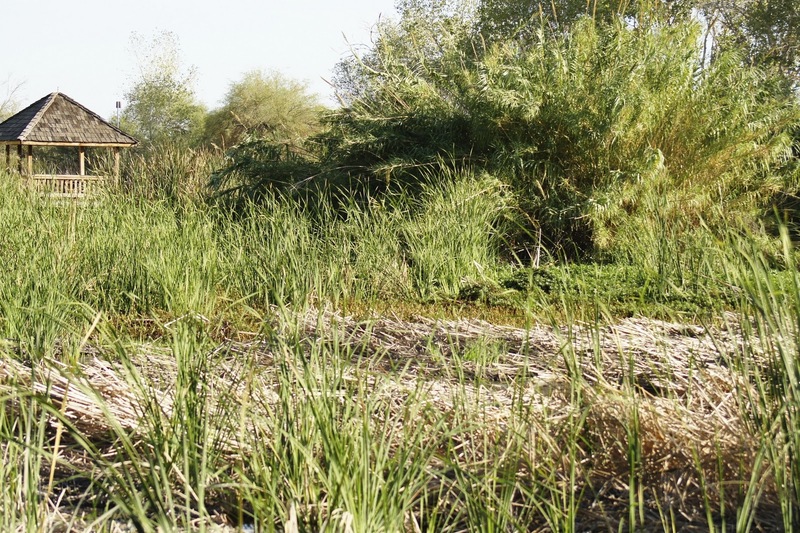 The Papago Ponds are basically a small network of drainage ponds that help supply the Phoenix Zoo and the DBG from the nearby canal. They have some modest foliage around their banks, and are always busy with waterfowl. The two things you can always count on seeing at a Phoenix pond are Coots and Mallards. 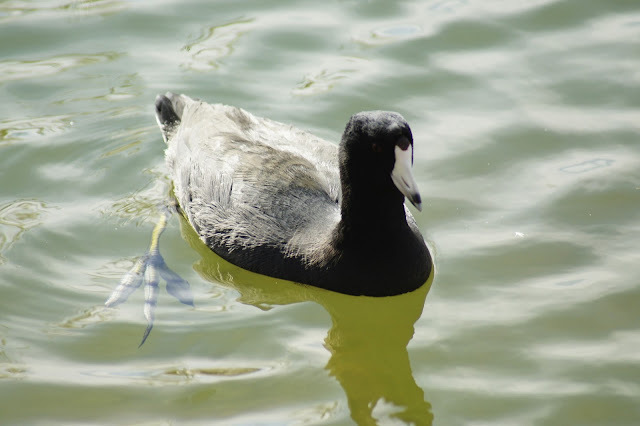 Coots present an interesting photographic challenge--trying to accentuate the black without blowing out the white. I spend most of my time trying to see their feet though, which are intrinsically funny. I don't see Great Egrets often enough, so when I do I still file them in the "super cool" folder. More so than other herons, they seem to be fully aware of their existential awkwardness. They just never quite seem comfortable to me. This crooked creature was making a slow retreat as I began to circle the westernmost pond. 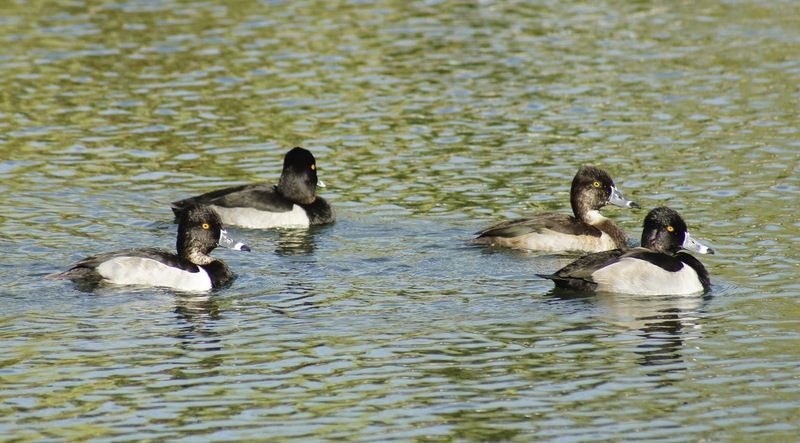 The Ring-Necked Ducks are starting to arrive in Phoenix en masse. They're in groups of 4 to 24 all around town, and you can pick them out with their yellow eye and compact shape from far away. Their expressions appear overly indignant to me, like they're tired of people asking them, "Where the heck is that ring anyway?" Personally, I think it's a fair question...bunch of grumpy ol' Scaups. 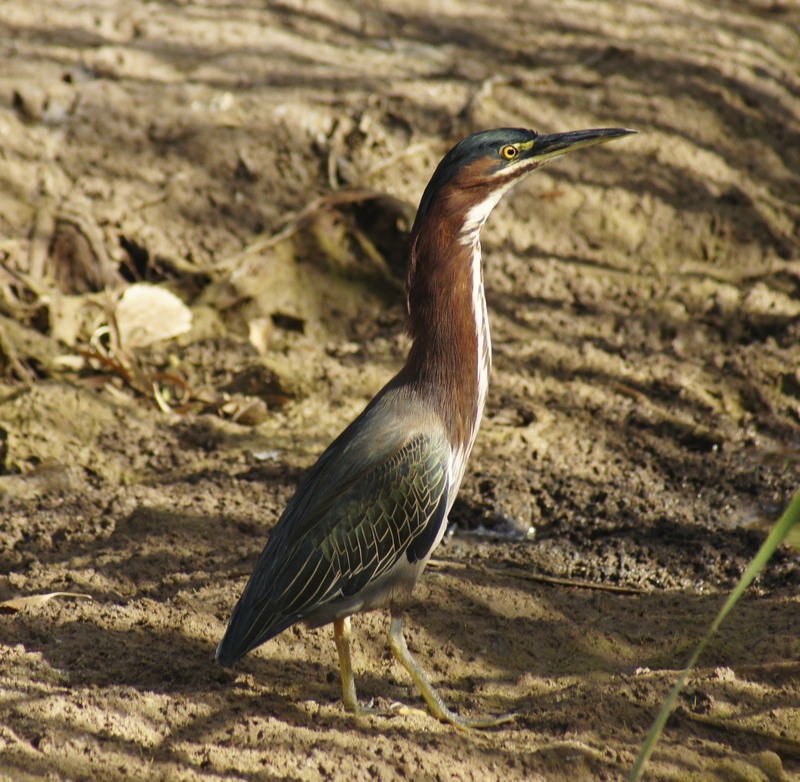 There were several Green Herons at the Papago Ponds, and it still weirds me out a little bit when I see them extend their necks. I mean, they're herons. It shouldn't be surprising. But their necks still seem too disproportionately long and thick. They look unnatural, and cool. 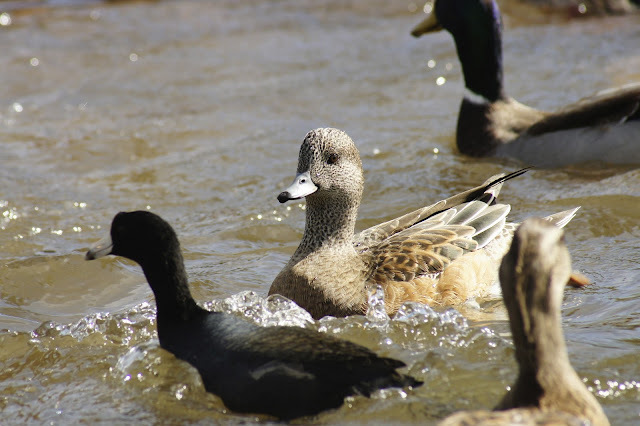 Amid the Coots and the Mallards and the Ring-Necked Dorks, I saw this autumn's first Wigeon. The Wigeon and the Northern Shoveler were the first two ducks I really noticed as being different ducks (meaning, these were the first ducks I remember noticing were not Mallards) way back when I was first getting acquainted with birding, so they'll always be extra special for me. This male was looking pretty handsome even in his eclipse plumage. 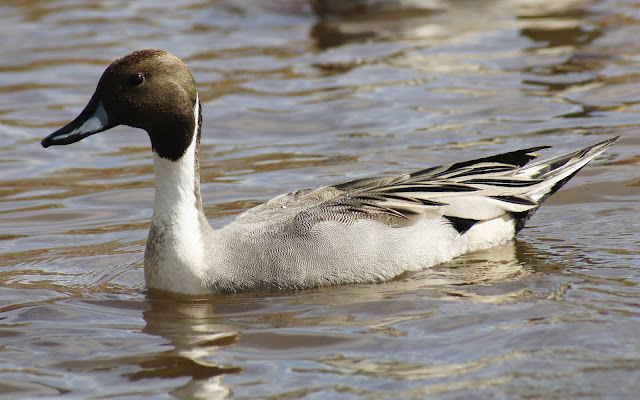 This Northern Pintail was inhabiting his own, secluded corner of the pond. He probably felt a bit too handsome, even superior, for their company, even without his full-feathered outfit. I'm looking forward to seeing more of them around this winter. It was a weekend of lazy birding to be sure. The walking was minimal and the temperature was pleasant, but there aren't many better ways to spend one's weekend, because birding is too fun! I saw a natural display of delicacy, grace, awkwardness, and aviation. Sounds like a wonderful way to spend a lazy weekend and why not? Birding is Fun! Awesome photos! I really enjoyed your humor in your writing too. Great photos Laurence! My favorites are the shrike and Green Heron. Thanks for all of the kind comments and birding enthusiasm! What a delightfully written post accompanied by some very awesome photos. Wonderful post and fantastic pictures. I used to live in Tucson, so seeing all these birds makes me start to miss AZ. I have been to Gilbert Water Ranch, but none of the other places you have mentioned. Tucson has some great birding areas also with Sweetwater wetlands and Agua Caliente park. I like to find birds in odd places also. Nice photos and narrative. It was entertaing to read.